Students are assigned to an advisor who advocates for them and ensures that they are on track to successfully complete the requirements of their Educational Development Plan. This is also an opportunity for weekly course progress monitoring, standardized test score evaluation, introduction to 21st century skills, tutoring and back-on-track time for students struggling with course content. Students are awarded .25 credits per semester for the successful completion of their advisory course. Students meet with their advisor four days a week during the school year. Attendance and credit rules apply to advisory as it would to any other academic course. Interested to know wHat's going on in advisory today? What's an Educational development plan? Educational Development Plans are designed for each student that are flexible, responsive, and tailored to individual student needs and plans for the future. We have a responsibility to create a systematic plan for all students of varying academic ability based upon our population and vision. Students, families, and faculty collaboratively design an educational development plan after reviewing grades, standardized test scores, and the results of career exploration for all students beginning in the 7th grade. Gone are the days of pen and paper EDPs so to adapt to the changing times, MCC has adopted the Big Future platform to capture your student's interests, skills, talents, hobbies and awards. In addition, this platform allows students to request classes based on their college and career goals. Meaningful engagement in this process is a MUST by all parties. Please contact Healther Barnard for more information about developing an Educational Development Plan for your child. Wells Fargo is always looking for ways to help students and parents navigate the college process and provide them with information that will make it all seem a little easier. 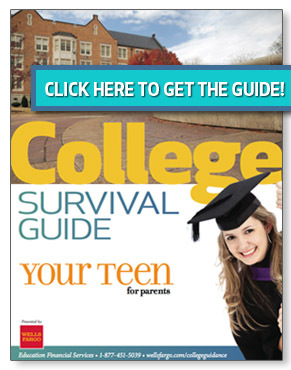 They know that parents can be overwhelmed trying to help their children find the right school and make it all work so they have sponsored a college guide that will help do just that! Click the following link to check it out!